Toda Institute for Global Peace and Policy Research (Honolulu and Tokyo). Directed six-year international research project on Democratizing Global Governance (1997-2003). The project attracted over $350 000 in external grants, and resulted in the publication of two books and some 18 papers in internationally refereed journals. The Board of Advisers included Dr Boutros Boutros-Ghali, the former UN Secretary-General, and Mr Gareth Evans (former Australian Foreign Minister). 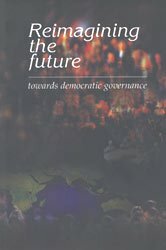 By the end 2002 6,000 copies of the Report Reimagining the Future: Towards Democratic Governance – and an additional 8,000 copies of the Executive Summary – were distributed with the support of the Ford Foundation to governmental and inter-governmental agencies, non-governmental organisations, media and other experts. Three workshops were held in New York attended by key UN officials and other experts to discuss the findings and recommendations of the project, followed by two media conferences. The Dag Hammarskjöld Foundation, several United Nations Associations, Oxfam and other organisations considered the findings and recommendations arising from the project. The Project led to a substantial educational effort, policy discussions, and extensive advocacy both with national governments and within the UN system, all of which helped to create a favourable climate for later UN initiatives. Both the UN-commissioned High Level Panel Report (2004) and Kofi Annan’s ensuing report In Larger Freedom took up many of the themes and proposals considered in detail in the research project. Notable among these was UN acceptance of the international community’s “Responsibility to Protect” in situations involving gross human rights violations.